Setting sail from Morston Creek, people will either be sailed by the skipper, or guided if they have experience at helming a boat. 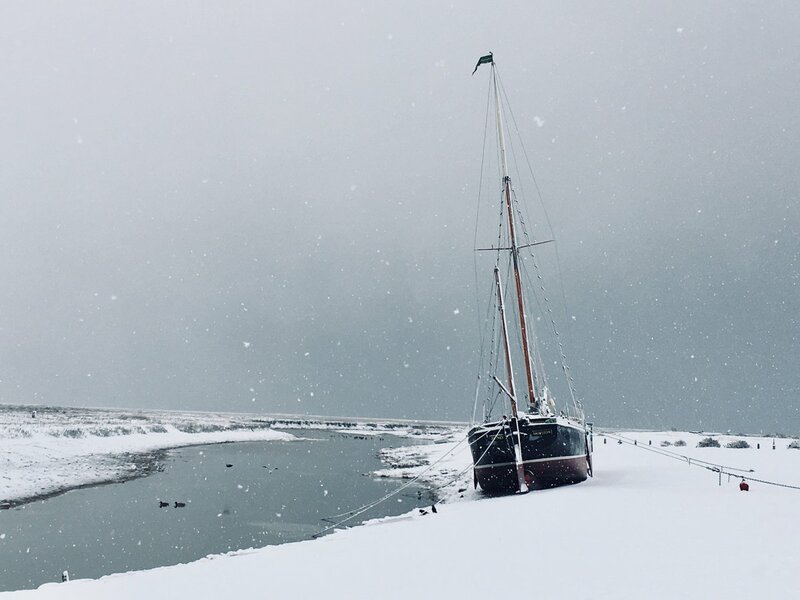 Once at the end of Morston Creek the boat can either be sailed towards the stunning Blakeney Point and the famous seal and tern colony and past the historic Old Lifeboat Station or towards the pretty little village of Blakeney, with Cley in the background. The Norfolk Oyster will not fail to please land lovers or those salty sea dogs amongst us. She is a traditional and locally built 17ft day boat; beautifully designed, rugged, stable and spacious means she will wow your friends and family. If you would like to bring your own picnic please do feel free. A little alcohol is acceptable but please do not bring any glass onto the boat. Charters are offered every day. Please see possible sailing times on our Tides, Times & Weather page of this website. Ahoy! All aboard me ‘arties for some seafaring fun. If your daughter or son is four to six years old and you would like them to experience boating whilst gaining some confidence on the water and having a boat full of enjoyment then this is for them. Your young wipper snapper will join our instructors in an adventure sail around Blakeney Harbour. They will cast their pirate eyes over the seals, wonder at the wild birds, play pirate games, hunt for treasure, crab for some Norfolk Gillies, steer the boat, pull the ropes, shout land ahoy and ship on the Horizon. This is all about having fun afloat. The children will sail in the stable, safe and rugged Norfolk Oyster.